Oculus joins forces w/ Facebook. Time for Social Virtuality | Let's Biz Up! You are here: Home / 2014 / March / 27 / Oculus joins forces with Facebook. Time for “Social Virtuality”? Oculus joins forces with Facebook. Time for “Social Virtuality”? Is Oculus Facebook’s answer to Google Glass? Is it the social network’s desperate attempt to inject itself with fresh innovation? By joining forces, Facebook and Oculus VR create a powerful opportunity. The partnership accelerates the VR vision, it allows them to execute faster on some of their most creative ideas and it allows them to take risks that were otherwise impossible. Imagine what might be possible in the near future… Virtual Reality on a Social Media level!? E.g. Sharing Experiences like going to the movies “together” in the space of Virtual Reality. What else might be possible? A lot! The Gaming industry will get a boost as it never has experienced before. Of course you already play games and have competitions online but with the VR tool gaming will get a whole New Dimension! Oculus VR started with the vision of making Virtual Reality affordable and accessible for everybody, to allow everyone to experience the impossible. Facebook was founded with the vision of making the world a more connected place. Together it might create a medium where you can use VR to share experiences with others in ways that were never before possible. 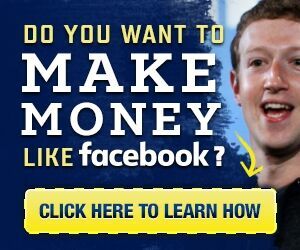 So ask yourself the question again… “Why is Facebook investing so much money in a VR company?” Well, it’s because the future internet (business) growth will take place in the world of Virtual Reality, even better maybe it will be a world of Social Virtuality… If that is how you want to call it. Because something fundamentally changes when you start to realize how big this Social Virtuality could be… Picture yourself that you can see someone else, and you can actually look at them and your brain believes they’re right in front of you but they are not… You get the goosebumps. And looking at other industries, it might benefit you to already explore the various possibilities this new development can bring to you business-wise; how to generate traffic to your website and therefore attract potential customers for more actual sales!